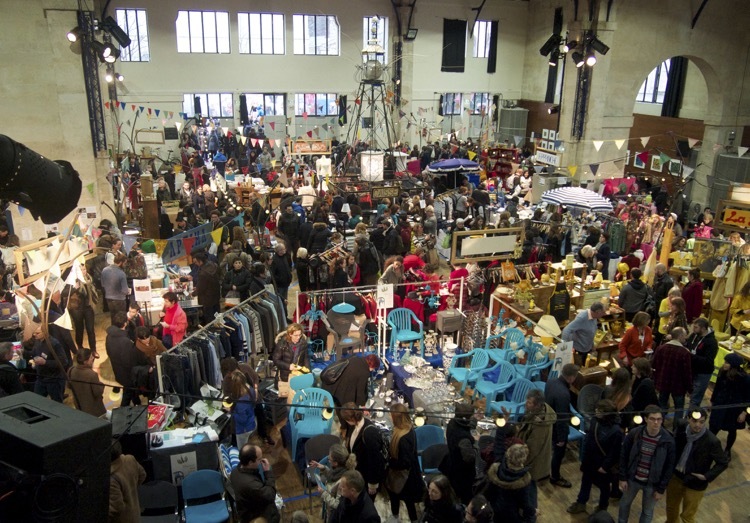 Resounding success for the “Fête de la récup” (Reuse party) this weekend in Paris. 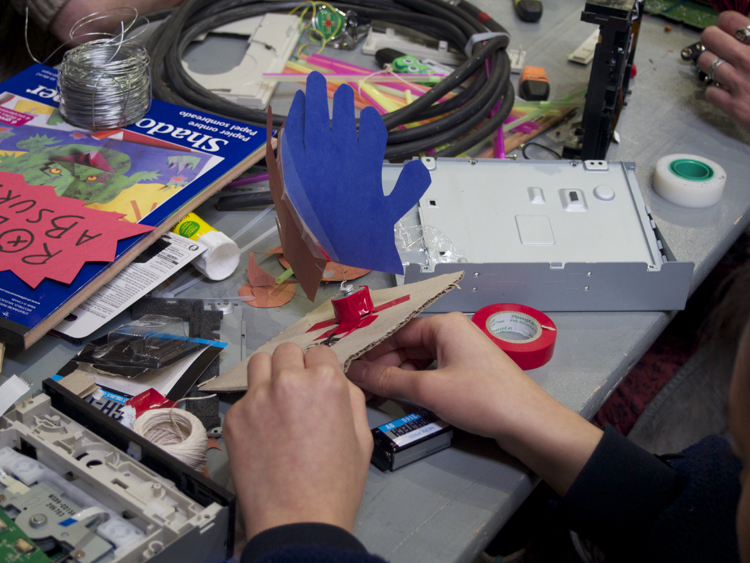 Some 15,000 curious people, solidarity-based players and makers participated in the recycling centre workshops of the outer suburbs. Photo gallery. 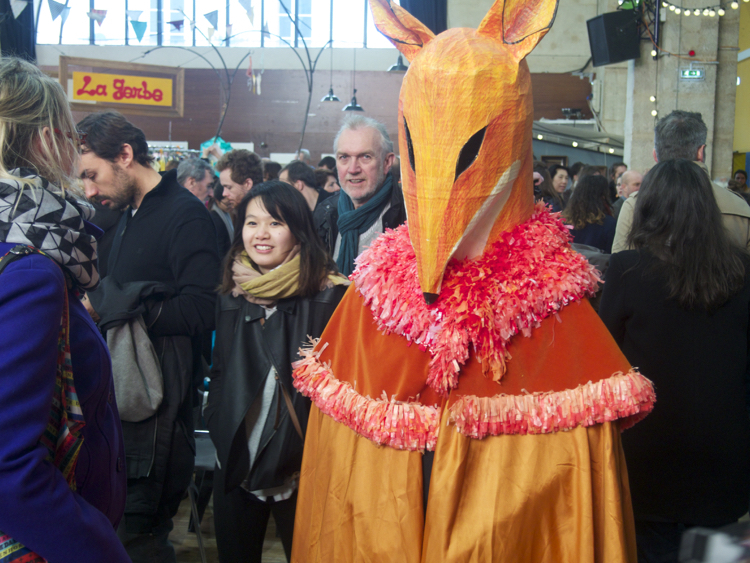 The “Réseau francilien des acteurs du réemploi (Refer)” – the network of actors for reuse from the île-de-France region – chose the “Halle des Blancs Manteaux” as a venue for the “Fête de la récup” on the 4th and 5th of April. 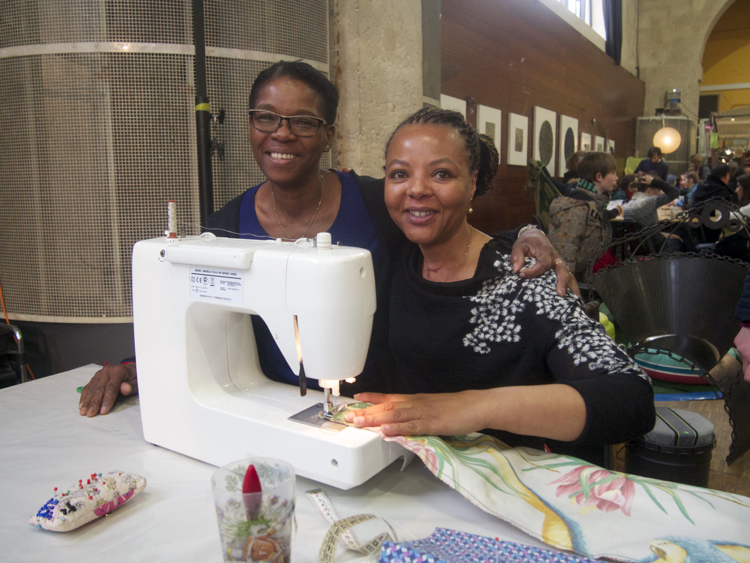 Thirteen recycling and recovery centres such as la Collecterie de Montreuil or the Maison du Canal have committed to lend their volunteers to lead fashioning and repair workshops. 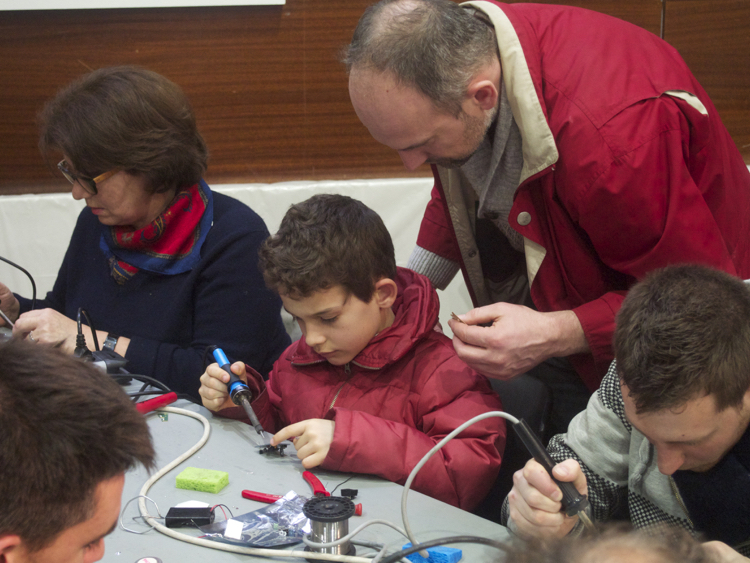 Hackerspaces like Usinette or the Blackloop (temporary union of Loop and Blackboxe) were also well represented and introduced people from all ages to tinkering. 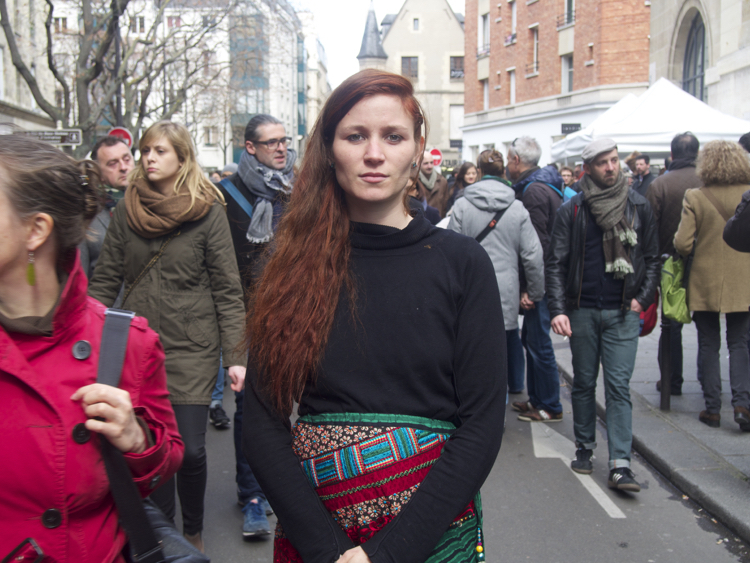 The organisers, Aurélien Furet and Martin Bobel, claim there were between 15,000 and 20,000 visitors, a record for this type of event in Paris. 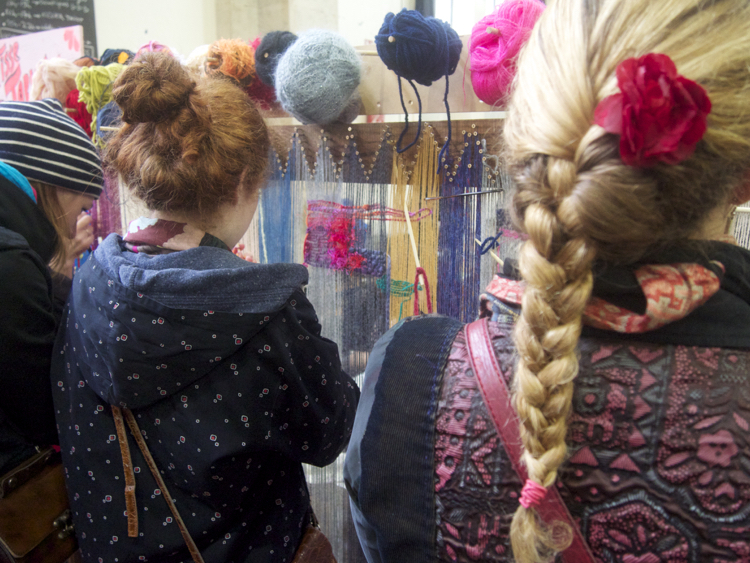 With its bargains in the centre and its workshops around them, the party was busy throughout the day. 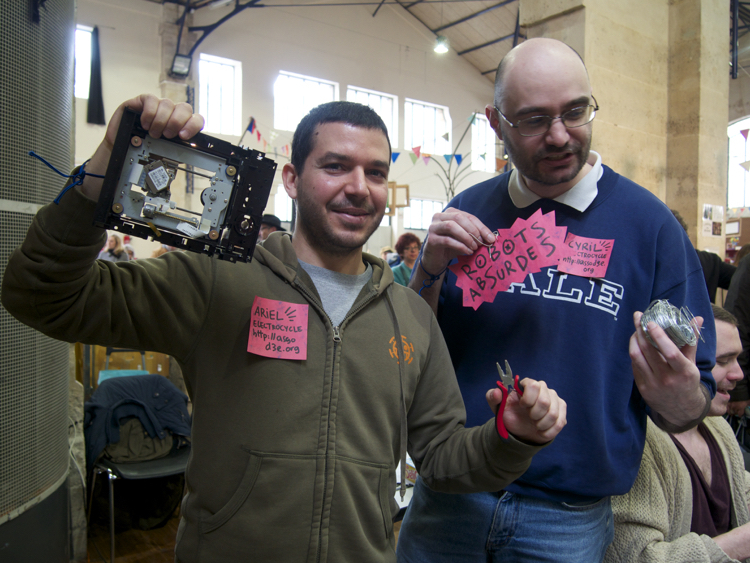 Ariel Martín Pérez and Cyril Desmidt and the motor of a DVD, main victim of the absurd Robots workshop. 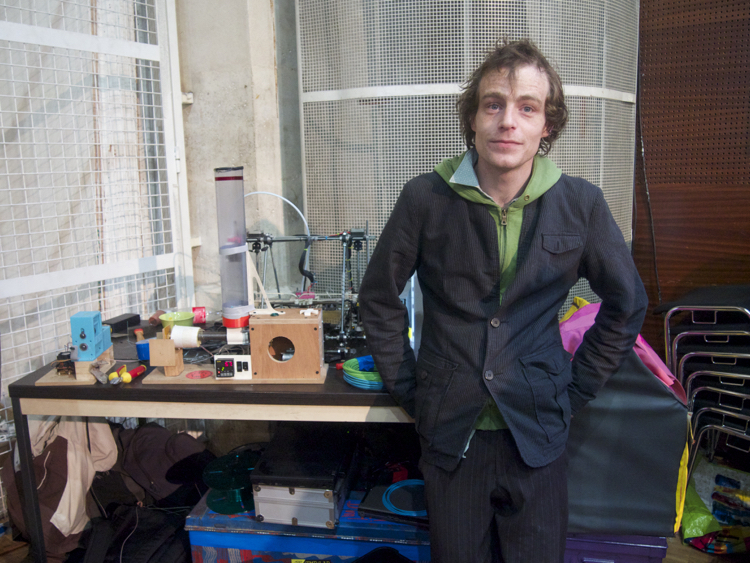 On the fly fabrication of an absurd Robot. 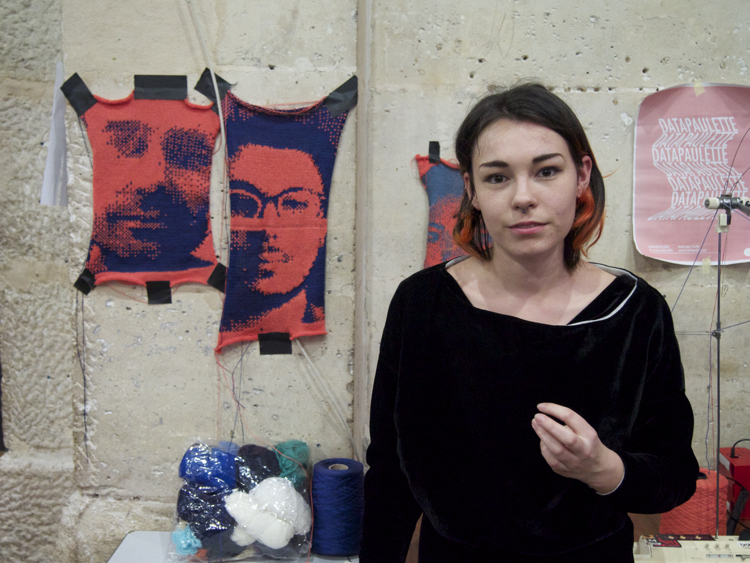 Audrey Briot, from the Data Paulette hackerspace, and her knitted selfies. 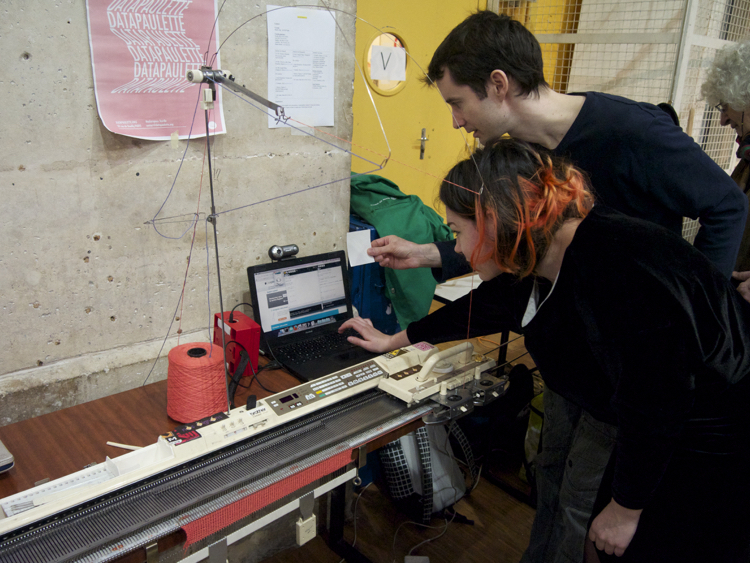 The webcam allows you to send the patterns into the knitting machine. 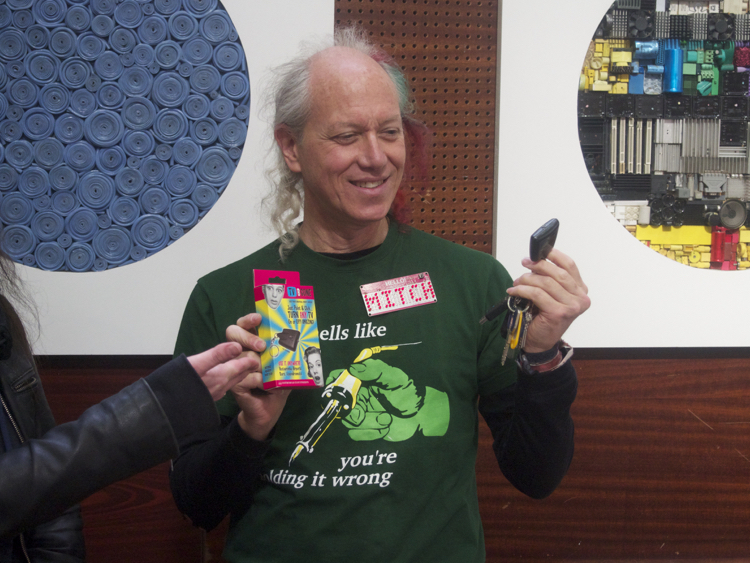 Big success around the American star of the party, Mitch Altman, and his fabrication workshop for a universal remote control to switch off any television, TV B Gone (read also our DIY). And yet another welder! There is no age to learn to switch off the television set. The gods of reuse crept into the crowd. 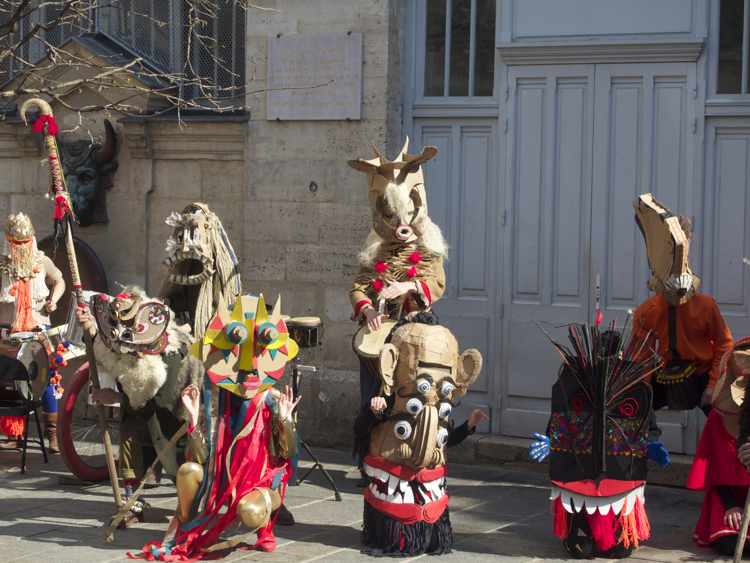 Parade of the Briche tribe. 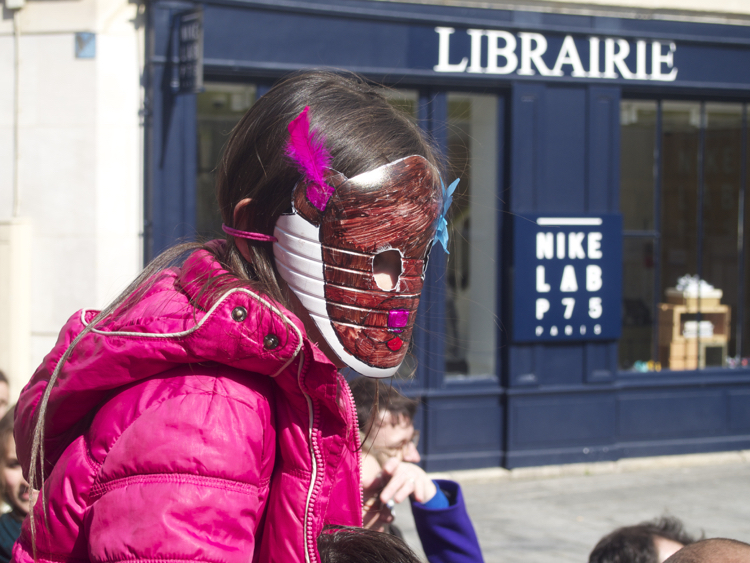 Contagion of masks coming from DIY workshops amongst the spectators. 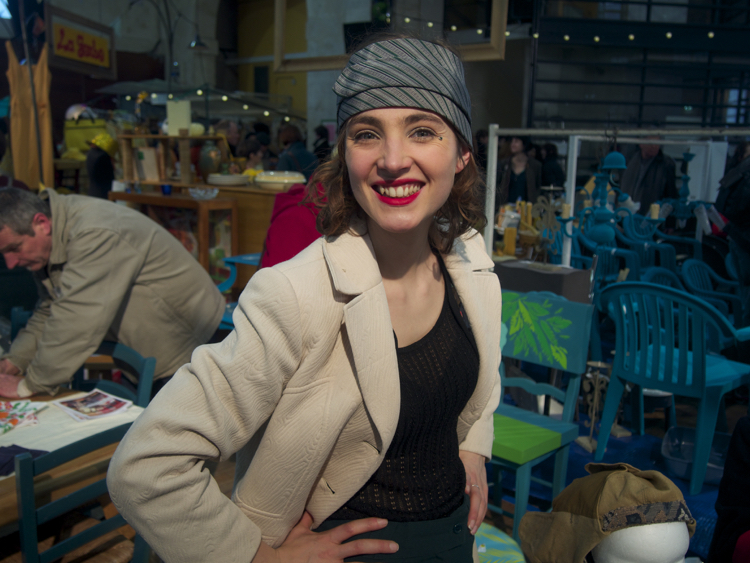 Zoé, maker of the mechanical parrot from La Briche, the collective in charge of enchanting the Party. 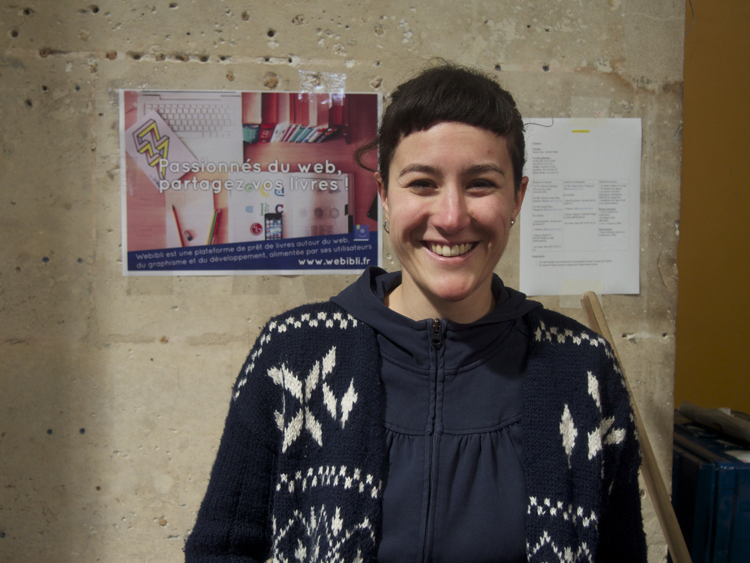 Lisa Durand presents the Webibli platform for sharing books on graphic design and web development. Clotilde Combileau (left), volunteer at the sewing workshop. 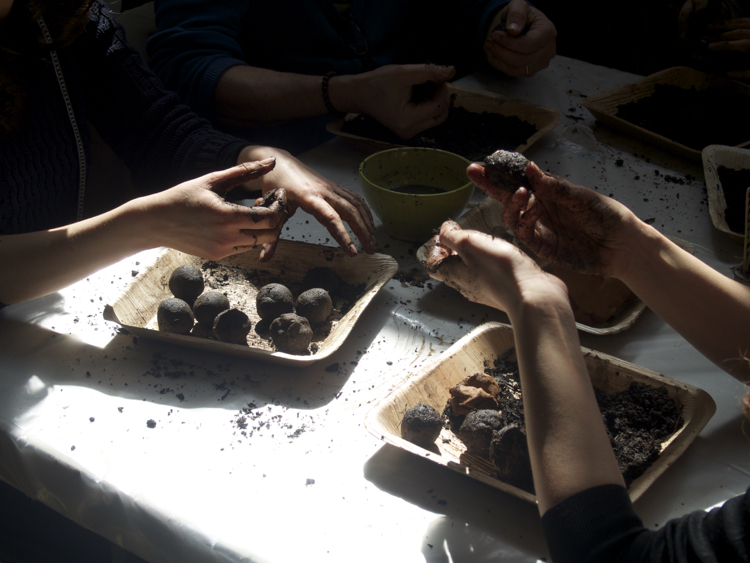 Getting one’s hands dirty at the seed bomb workshop. 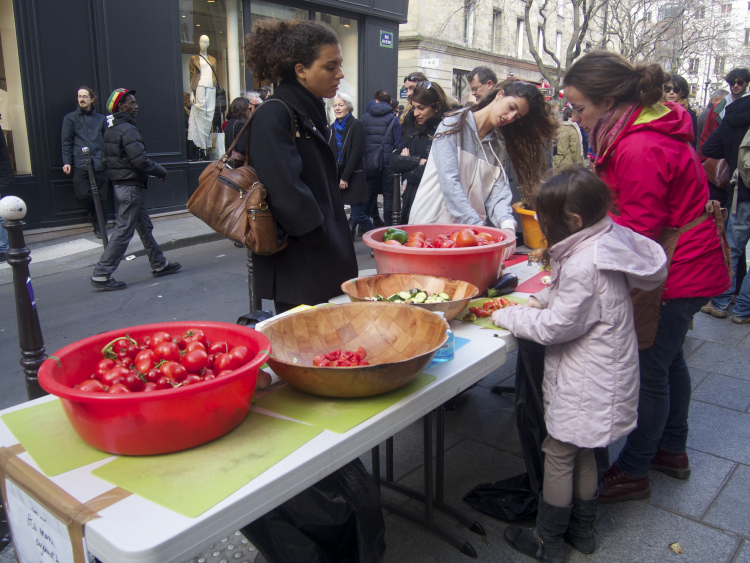 The Disco Soupe team was raising awareness of food waste by cooking food that was rejected. And we didn’t forget to bargain-hunt! 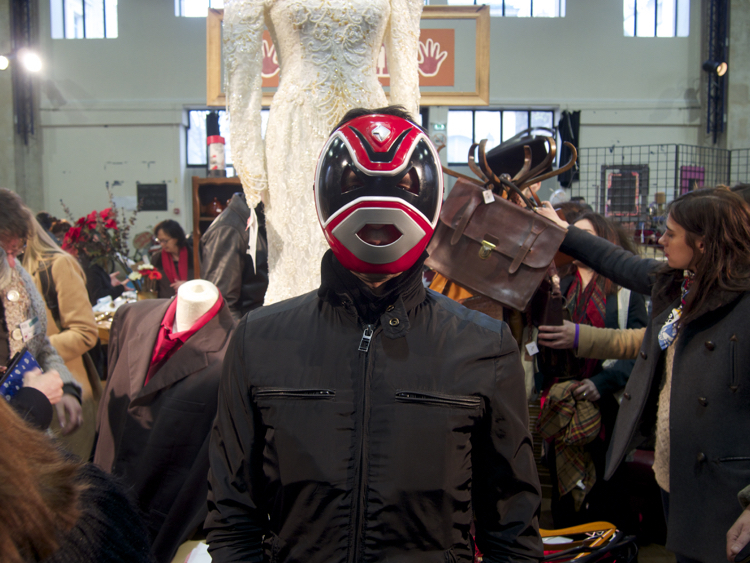 Gilbert Bermond, musician and volunteer, looking for his stage mask.